DUBAI/WASHINGTON – Iran’s pragmatist government tried on Wednesday to sell its nuclear agreement with world powers to hardliners at home, just as a US Congressional leader promised to do “everything possible” to sink the deal. With both Tehran and Washington facing stiff opposition to the accord, US Defense Secretary Ash Carter arrived in Saudi Arabia in the hope of reassuring leaders there who fear their arch-rival Iran will make major mischief in the region. 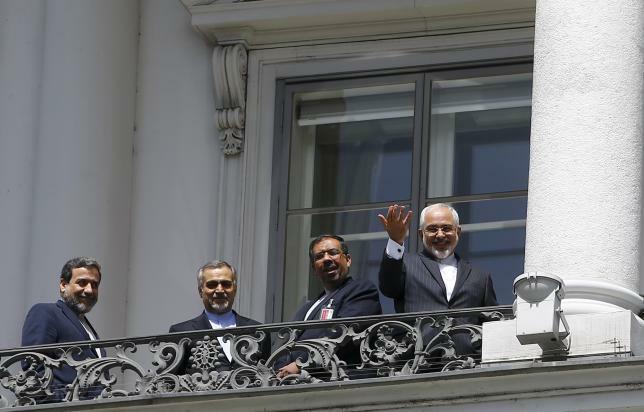 Last week’s agreement was a big success for both US President Barack Obama and Iranian President Hassan Rouhani. But both have to promote it to influential hardliners in countries that have been enemies for decades. In Washington, the Republican speaker of the House of Representatives, John Boehner, was deeply skeptical. “Members of Congress will ask much tougher questions this afternoon when we meet with the president’s team, and because a bad deal threatens the security of the American people, we’re going to do everything possible to stop it,” Boehner said. Secretary of State John Kerry, Treasury Secretary Jack Lew and Energy Secretary Ernest Moniz were scheduled to hold briefings for lawmakers in the US Capitol. House and Senate debates and votes to approve or reject the nuclear agreement are expected in September. A warm glow following the Vienna agreement – under which Iran accepted curbs on it nuclear program in return for an easing of sanctions that have crippled its economy – is fading. Ayatollah Ali Khamenei, the highest authority in Iran, told supporters on Saturday that US policies in the region were “180 degrees” opposed to Tehran’s, in a speech punctuated by chants of “Death to America” and “Death to Israel”. The government that negotiated the deal also talked tough on Wednesday in an apparent attempt to blunt attacks from opponents, including in the powerful Republican Guards. Abbas Araqchi, a deputy foreign minister, said Iran would do “anything” to help allies in the Middle East, underlining Tehran’s message that the deal will not change its anti-Western foreign policy. Araqchi, Iran’s senior nuclear negotiator, also told a news conference that any attempt to re-impose sanctions after they expired in 10 years would breach the deal. He was referring to a resolution endorsing the deal passed by the United Nations Security Council on Monday. This allows all U.N. sanctions to be re-imposed if Iran violates the agreement in the next 10 years. If Iran adheres to the terms of the agreement – signed with the United States, Britain, China, France, Germany, Russia and the European Union – all the provisions and measures of the U.N. resolution would end in 10 years. However, the world powers told U.N. Secretary-General Ban Ki-moon earlier this month that after 10 years they planned to seek a five-year extension of the mechanism allowing sanctions to be re-imposed. Tehran’s support for regional allies, including Syrian President Bashar al-Assad, Houthi rebels in Yemen and the Lebanese Shi’ite militia Hezbollah, has alarmed Saudi Arabia, the leading Sunni power in the Middle East. But Carter said before his trip to meet Saudi King Salman that he aimed to discuss American strategy on countering “Iranian aggression” in the region, as well as the fight against the Islamic State jihadist group. So far Riyadh’s response to the nuclear deal has been lukewarm public praise, coupled with private condemnation. Prince Bandar bin Sultan, a former head of the kingdom’s intelligence services, cautioned last week that it would allow Iran to “wreak havoc in the region”. Carter is expected to present Obama’s argument that the deal will make the United States and its allies safer by removing the threat of a nuclear Iran. This is the same message he gave during a trip this week to Israel, which also opposes the agreement. Israel on Wednesday pressed US lawmakers to block the deal, with Ambassador Ron Dermer meeting privately with a group of about 40 House conservatives. Kerry said he would seek to reassure Gulf Arab officials at a meeting in Qatar in the next two weeks that Washington will work with them to resist Iranian influence in the region.